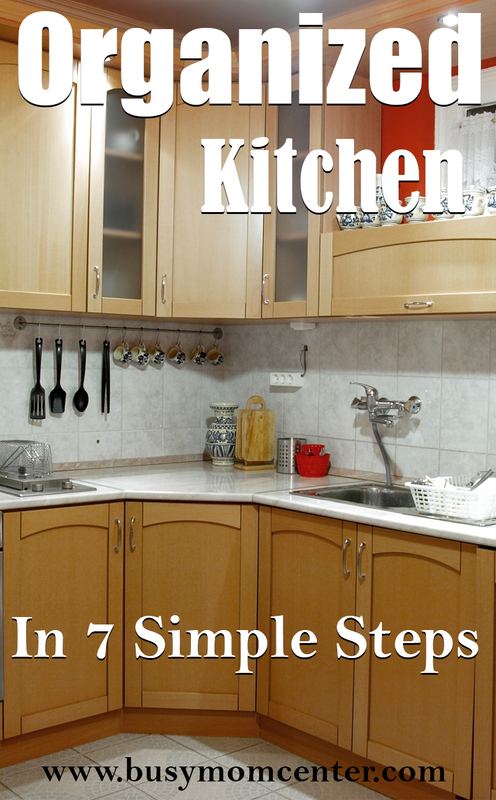 Organized Kitchen – 7 Simple Steps will show you that if you want your kitchen to be organized and run smoothly, you have to turn certain areas into work areas. If you turn your kitchen into work areas you will then have your kitchen working for you, instead of against you. Think about it… If you have to run all the way across the kitchen every time you need something instead of being able to reach over and grab it out of the nearest drawer, it would make things so much faster and easier! 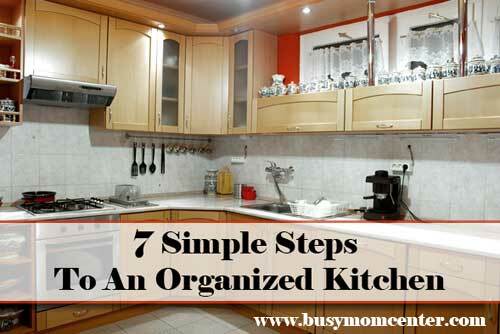 So, let’s get started turning your kitchen into an organized kitchen. Have you noticed that when you prepare food you spend a lot of time close to the sink? This is the area that we wash and chop fruits and vegetables and rinse our knives and cutting boards. So, it makes perfect sense to make this area close to the sink the food preparation area. You can keep your knives and cutting boards close to this area, whether it be a small counter space or an large one, the point is to keep everything you need to prepare food close to this area. Everything you need to prepare food should be located close to the prep area. If you can gather everything up quickly because it is stored close by, this will save you time. And, keep you from running back and forth. For example, I have my two cutting boards sitting behind my canister set that sits very close to my sink, that way I never have to go digging for them, and I always know where they are located. 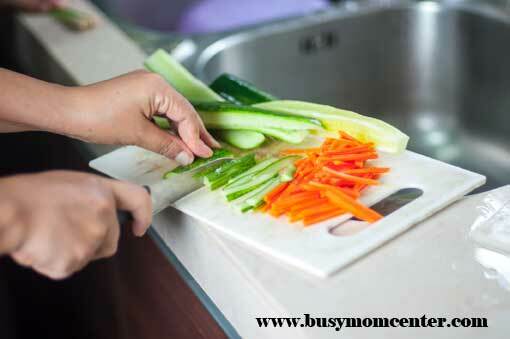 I do this because I have learned that I could need to use my cutting boards at any given time, whether it be to chop veggies or peel and slice an apple for my son, they are at my finger tips. The idea behind having an organized kitchen is to be able to get things done quickly and more efficiently. Do keep in mind that you should always have more than one cutting board due to cross-contamination from fruits and vegetables and meats. However, there are cutting boards now that are anti-bacterial or anti-microbial. Wooden pretty cutting boards like kids make in shop class aren’t Anti-microbial cutting boards . Whether you hang them or store them in a cabinet your pots and pans should be stored together. Again, if you keep all of your cooking tools right around the same area you will have an easier time with cooking. I also keep my pot holders in a drawer next to the stove. If I need them I just grab them instead of having to turn around and head across the kitchen. I also use a large black ceramic container to hold all of my spatulas, wooden spoons and tongs. You can store roasting pans in the storage drawer under your stove, if you have one. It’s easy to keep everything together once you get started. One of the best ideas I have seen is using a bakers rack to store things you have no space for in your cabinets. 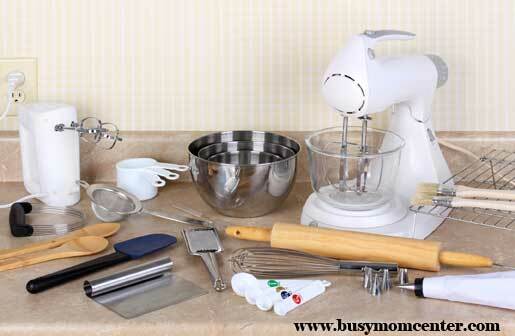 If baking is something you do a lot then you will want to organize your baking tools together in one area. Mixers, mixing bowls, rolling pin, and measuring cups should be within your reach when you are baking. If you don’t organize this area, it will take you longer to get everything you need together that it does to bake the cake. I do, however, leave my baking powder, baking soda, flour and sugar in my pantry until I need them. There is no point in moving those items to where your other baking items are because we tend to use those for other things as well. I would hate to have my husband rummaging through my baking area in order for him to find sugar to refill the sugar canister. Where will you take care of the leftovers? If you have kept a drawer for foil and plastic wrap then you will want to take the leftovers and wrap them up on the counter above that drawer. If however, you have bowls with lids to store your leftovers you will need to decide where a good place to keep them would be. Close to the refrigerator is where I keep my bowls with lids. That way I can dump the food in them and put them in the refrigerator right away. 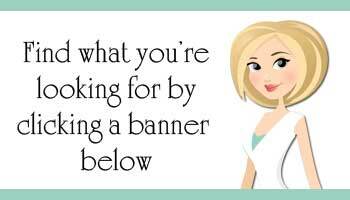 You’ll need a place where you can wrap it all up. 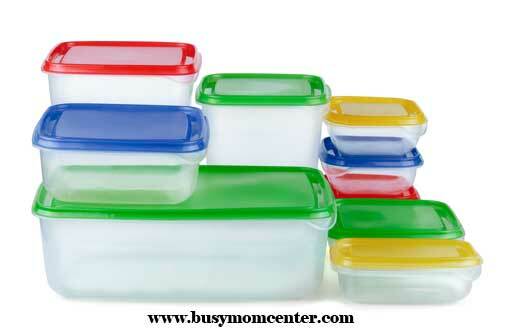 After a meal, you will want to grab storage containers to put away all the leftovers. Whether you use plastic containers, plastic bags, or just put the food on plates and cover with plastic wrap or foil, you will want all those items conveniently located somewhere between the dinner table and the sink. If you can quickly get your leftovers wrapped up and in the refrigerator, you can move on to the next task. Use the cabinet above your dishwasher to store items such as dishes and glasses, and use the nearest drawer for silverware. If you find you have extra head-space in your cabinets, use kitchen organizer shelves to utilize this extra space for small juice glasses, coffee mugs, or even tiny dessert bowls and such. By keeping the items you use most often close to the sink or dishwasher, you’ll be more likely to get the dishes washed and put away simply because it’s easier. If you have to cross the kitchen with piles of dishes and glasses to put away, chances are you’ll put that chore off until later. 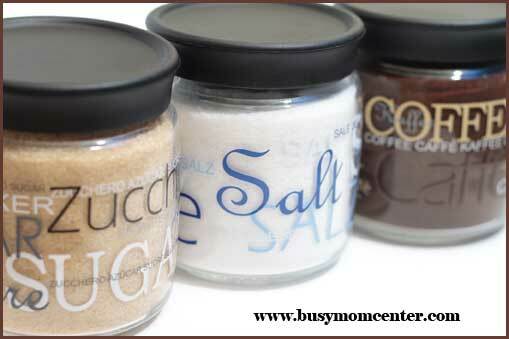 Of course, in your organized kitchen, you’ll need a variety of cleaners, soaps, scrubs, and sponges and dishcloths. If you store those under the sink, you will need to install locks on the doors. Otherwise, put those cleaning items in a bin and put it up above the sink in a cupboard or in a utility closet nearby. To keep cleanup convenient, put all the items in one plastic bin with a handle, or a bucket, so you can grab it when you’re ready to do cleanup. There are items that you may not use every day. Those are the things that you can store in a buffet, china cabinet, or other out of the way place. 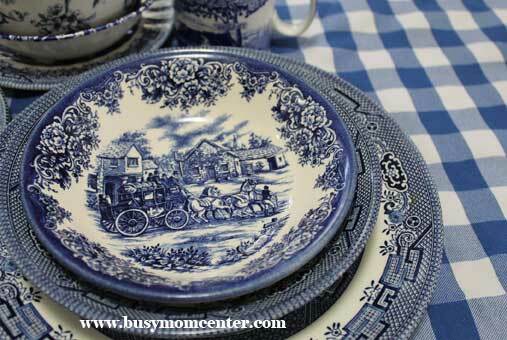 You may have a collection of nice tablecloths, napkins, and other tableware. You may have some dishes that don’t come out often. 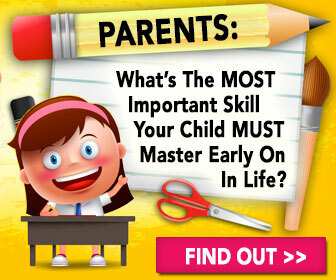 Perhaps you have appliances and utensils that are used only a few times a year. Keep those stored somewhere other than the kitchen. If you aren’t cooking and serving with it often, move it. Some stations aren’t part of the cooking, exactly, but many families find their life centers around the kitchen in other ways, and a station needs to be set up. You may want a coffee or tea station if that is your ritual in the morning. Many people also use their kitchen to sort mail and keep the family calendar, or a grocery list, or a to do list, or just to keep messages so they know where everyone is going. 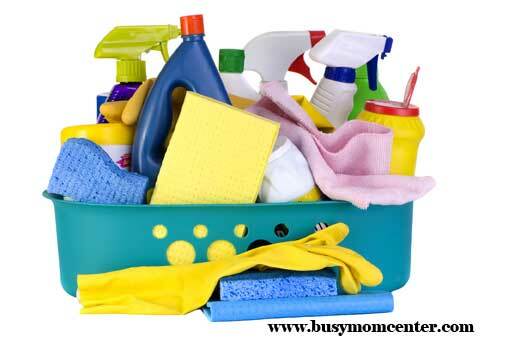 Besides the kitchen sink and dish cleaning area, many organized kitchens house the other cleaning supplies, such as the mop, broom, buckets, scrub brushes, dusting rags, and all the polishes and other sprays we use. Designate one place to hold everything so you’re not running from room to room just to polish a few mirrors or wipe up a floor. Get a few buckets or carry-all type containers to keep items for specific tasks all together and you’ll be able to grab and go clean without going back and forth. Depending on the size of your kitchen, you may or may not be able to implement all of these ideas. But, take a look at the basic thoughts. By organizing your kitchen into stations, even if they are small stations, you can make your kitchen work for you.